Home » Deals » Full River Olympic Express for SIX! Full River Olympic Express for SIX! The Full River Olympic Express Adventure offers both the Upper and Middle Sections of the Ocoee River. Bring along 5 of your friends and get ready for 10 miles of action packed Whitewater. 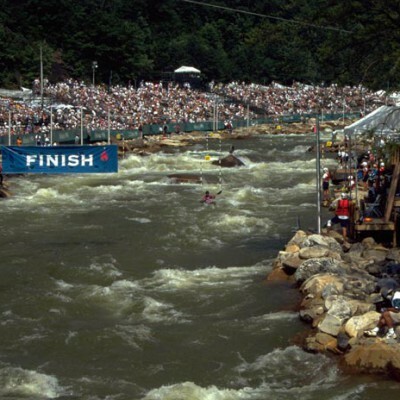 The Olympic section of the Ocoee River was designed for Olympic Athletes and we can’t wait to conquer the rapids with you! *This voucher is good for 6 people to experience the Full River Olympic Express. *Taxes and Fees will be applied at time of reservation. We will hold your purchase on a hold date, when you are ready to reserve your spots, just simply give us a call and we will get you and your crew registered for the Full River Olympic Express of your choice.